In 2015, Light burst onto the photography scene with the introduction of the L16, a portable camera that promised ‘DSLR quality’ photos in a pint-sized package thanks to a unique design that featured 16 different lenses and sensors. It wasn’t until 2017 that we were able to get a peek at the first full-res image samples. Since then, there hasn’t been a lot of positive feedback surrounding the functionality and image quality of the camera, but it seems they’re far from done working on its multi-camera setups. 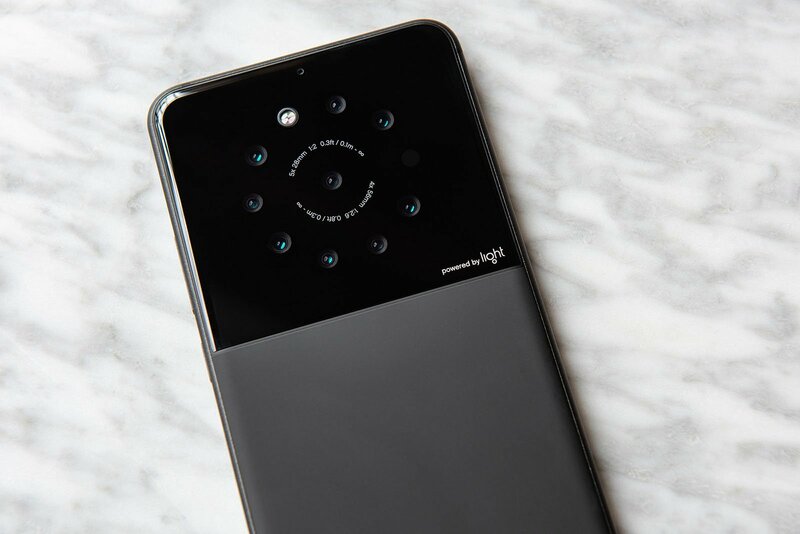 According to a report from Geoffrey A. Fowler of The Washington Post, Light has shown off concepts and working prototypes of phones that include between five and nine lenses. ‘[Light] says its phone design is capable of capturing 64 megapixel shots, better low-light performance and sophisticated depth effects,’ says Fowler in the article. We’re not exactly sure what Fowler means when he says ‘its phone design,’ as Light has never stated intentions of creating its own phone. What Light has said in the past is that it’s working with manufacturers to put its cameras and software into future devices. According to The Washington Post report, Light says ‘a smartphone featuring its multi-lens array will be announced later this year.’ There’s no word on what manufacturer it’ll be from, but considering Foxconn is an investor in Light, it wouldn’t be a surprise to see it from a company with ties to the Taiwanese manufacturer. The list of smartphone manufacturers who are customers of Foxconn include: Apple, Blackberry, Huawei, Microsoft, Motorola, Xiaomi and others.